Last month, I posted about the transition of the JetBlue credit card from American Express to Barclaycard as we learned firm dates of the transfer which was occurring March 21st. In short, if you were an American Express JetBlue cardholder as of March 18th, the account would be transferred to Barclaycard and you would receive a new Barclaycard version of the JetBlue card. I argued for most people it would make sense to cancel the American Express JetBlue card so you would be eligible for the signup bonus (currently 30k) for the Barclaycard version. It appeared that if you cancelled by March 17th, then you would not receive the Barclaycard version. That explanation makes a lot of sense as I assume Barclaycard wants its new customers to use the cards right away once the American Express cards will not work which is March 20th. Interestingly enough, I cancelled both my wife’s and my JetBlue Amex cards in mid January and we did not receive a Barclaycard version in the mail. While two isolated examples don’t prove anything, it does make me think the message Barclaycard gave my reader above was correct – there was simply a cutoff time, probably sometime in February, in which American Express sent a list of all current cardholders to Barclaycard and Barclaycard sent everyone on that list a card (probably assuming not many people would cancel in that month or so period). I am very confident that if you cancelled your American Express JetBlue card on or before March 17th, than you have nothing to worry about. Barclaycard has confirmed they sent cards to members whose account very well could have been closed due to the timing of the transition of the JetBlue cards between banks. If you are still skeptical, than I encourage you to call Barclaycard on March 21st to confirm you don’t have an active JetBlue card with them. I would still hold off on applying for the new JetBlue until March 21st when Barclaycard receives the final, active list of cardholders so they do not think you are an active cardholder. Update: No need to worry if you received a Barclaycard JetBlue card in the mail before 3/21 and you had already closed your American Express JetBlue card. 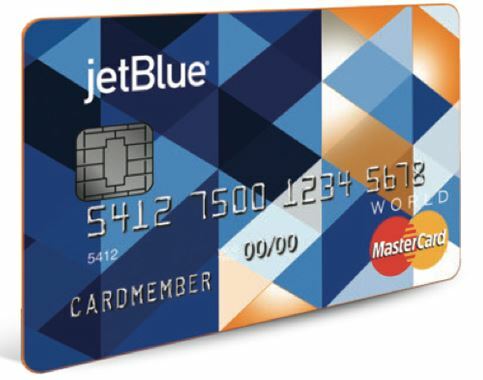 Earlier this week, several bloggers broke the details behind the new JetBlue credit cards (both a personal and business version) issued by Barclaycard starting in March this year. I highly recommend reading Doctor of Credit’s review of both cards as I find this the most through review I’ve read but here are a quick few highlights of the cards. Compared to the American Express product, this is a semi-competitive card if you are a regular JetBlue flyer. With my home airport being JFK/LGA, JetBlue is an airline on my radar for domestic/Mexico/Caribbean trips so I plan on obtaining one, if not both of these cards at some point. Speaking of that, last month I argued that if you are a current JetBlue American Express card holder you should consider canceling your card before the transition in hopes of being able to get the signup bonus on the new JetBlue card. We didn’t know when the transition was occurring but per this letter I just received from American Express (even though my account has been closed for 2 weeks), we now know that any open, existing American Express JetBlue card account will be transferred over to Barclaycard on March 21st. Additionally, March 17th is the last day to cancel the American Express card if you don’t want it converted to the Barclaycard version. While it is still true we do not know for certain that Barlcaycard will offer a signup bonus on these new cards, I feel confident that we will see at some point a signup bonus of at least 20,000 TrueBlue points (and possibly more). 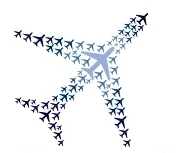 This is not like the transition from the US Airways card to an AAdvantage card for Barclaycard – this is completely new account for Barclaycard and they have the ability to offer this card to new cardholders. Hence why I believe they will offer a signup bonus to entice new customers to get the card. Hopefully Barclaycard will make the signup bonus known before March 18th so you can wait as long as possible before deciding on what to do with your current American Express JetBlue card. However if they do not, I would be willing to gamble on losing the $100 companion discount in hopes of getting a signup bonus at some point in 2016. I’ve already gone ahead and closed my card (and my wife’s) two weeks ago with no regrets. What do others think of this strategy? 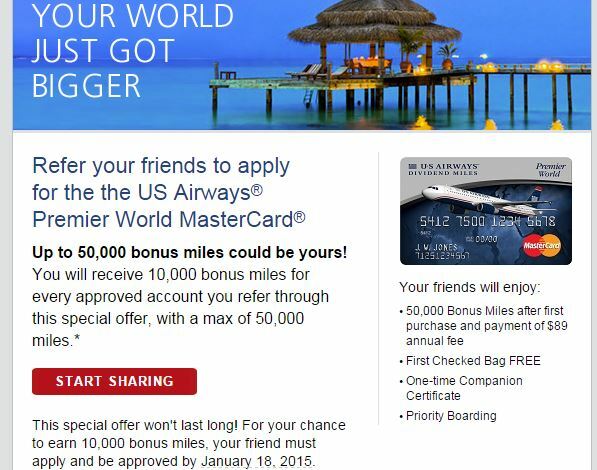 In December 2014, my wife and I applied for one final US Airways MasterCard for an easy 50,000 miles before it went away for good and since then, that card has been converted to a Aviator Red card. Now a year later, the annual fee just posted on both my account and my wife’s so we rang up Barclaycard to see what retention offers were available. Before we called, I had already decided that I was willing to pay the $89 annual fee for both cards. The biggest reason was for the 10% rebate of AA miles when you use this card to book any AA awards. You can get a maximum rebate of 10,000 miles per year per person which is worth ~$150 to me. Another main reason to keep the card for us was to hopefully get targeted for one of their bonus spend promotions which are usually quite lucrative. Lastly, we do have a handful of domestic flights on AA this year so the priority boarding and possibly the free checked bag benefit might come in handy though this didn’t factor much into my decision to keep the card. Notably I did not factor in the 10,000 anniversary miles as those already posted to our accounts and we’d be able to keep the miles even if we cancelled the cards. I started with my card and called the number on the back of my card to start the process. I got a front line agent on the phone and once I mentioned I wanted to close my account, she immediately transferred me to the retention department at Barclaycard. There I had a nice gentleman named Tom whose goal was to try and keep me as a “loyal” Barclaycard customer. He inquired why I wanted to cancel and I causally mentioned that I already have the competing the Citibank AAdvantage Platinum Select card (which may or may not be true anymore) that has almost identical benefits so why should I pay an annual fee on both cards. Without another word, he immediately offered to waive the $89 annual fee and additionally pointed out the annual fee on this card was only $89 while the one from Citibank was $95 implying I should cancel the Citibank card instead. I told him I appreciated the offer to waive the annual fee but I wanted to know if there were any other retention offers that I was eligible for that included miles (it is important to be direct in what you are asking for). After giving him a minute to look at the “promotions page”, Tom came back with this beauty of an offer – 5,000 AA miles for spending $1k in 3 months. That’s a great offer as I am essentially earning 5x on all purchases up to $1,000 in spend and combined with the annual fee being waived, this would be an easy, free 5,000 miles for keeping a card I wanted to keep all along. Once he confirmed that was the only offer with miles on my account, I accepted it and then asked him to check my wife’s account for a similar offer. After getting my wife to confirm her identity, we were able to skip all the nonsense about why she wanted to cancel the card and he simply just offered my wife the same exact deal (annual fee waived + 5,000 mile promotion) as me. Of course, she took it and we thanked Tom for essentially paying me and my wife to keep our cards open for another year (ok, I didn’t really say that last part). Let this post serve as a reminder to always try for a retention offer even if you would be willing to pay the annual fee. For this card, I knew a lot of people have had success getting a retention offer so the odds were fairly high we would get the annual fee waived at a bare minimum. The 5,000 miles for spending $1,000 in 3 months is just icing on the cake. I will definitely be taking advantage of that to earn 5x for my non-bonus category spend. And if you happened to targeted (usually via snail mail) with an offer such as 15,000 bonus miles for spending $500/month over 3 months (or other similar offers), you can stack these offers to really rack up the miles without having to pay an annual fee.